First day with no accidents… this kid is hitting the potty training like he’s a Gold Medal Olympian. Unreal, to think we’re almost out of diapers with one and then still have another three years of diapers to go with the other! 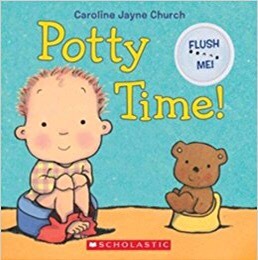 This entry was posted in Uncategorized and tagged book, potty, training. Bookmark the permalink.